A commercial area spread over 1,75,000 sq.ft. 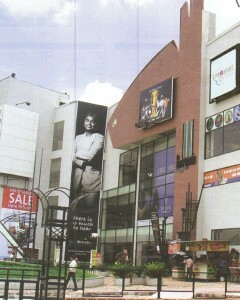 in kolkata is christened The Metropolis, and is host to a retail centre comprises food courts, sports bar and restaurants. The mall’s food court is a ten-outlet eatery serving cuisines from every corner of the world, while its Sports Bar is a trendy and sporty watering hole. It also houses a sit-down diner for the entire family or large groups, and a four screen, 1,000-seater multiplex that screens the latest movies and also offers a food beverage arrangement. Over 60 stores are currently operational in the mall’s Gross Leasable Area of 1,75,000 sq.ft. You can view the list of all stores and brand outlets at Metropolis Mall here.